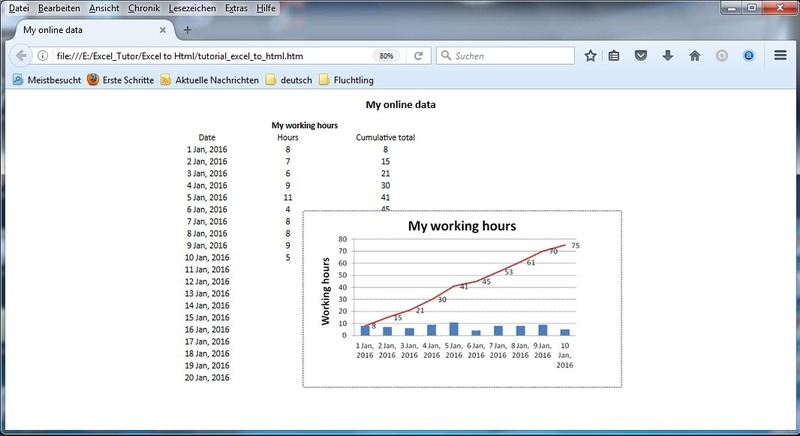 Open the worksheet you want to save or select the range of your data that you want to publish. The 'Save As' window opens. 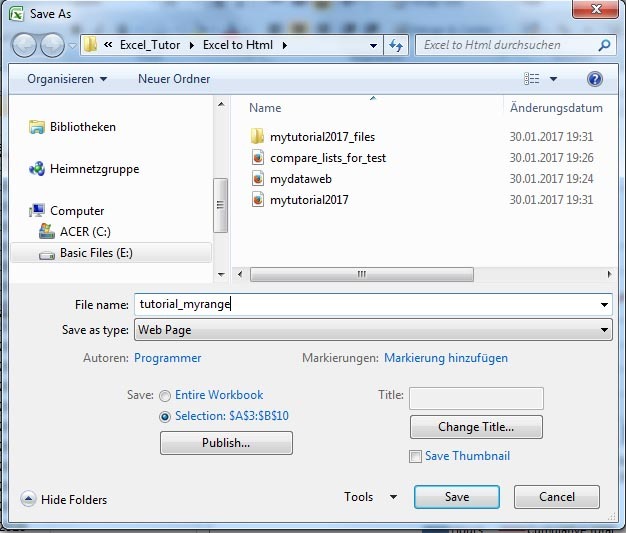 Look, in the image, above the Publish... button you have two options – either to save the Entire Workbook or Selection: Sheet (for current worksheet). I will select the current worksheet only. But if you select any range from your worksheet, then it would show you the selected range. 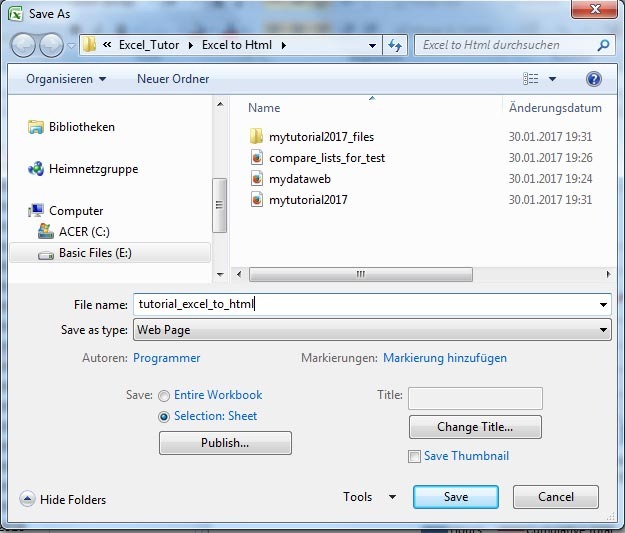 click the Publish button > the Publish as Web Page window opens. 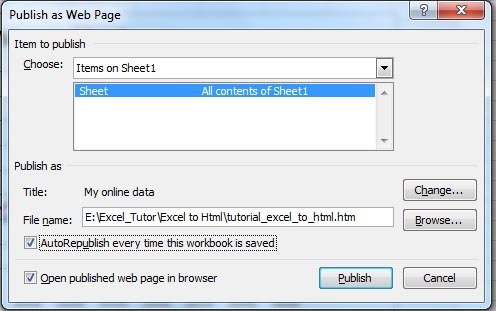 check or click the AutoRepublish every time this workbook is saved – this will automatically republish your Excel data after each saving of your worksheet. check or click the Open published Web page in browser – this will open the web page immediately after the saving.